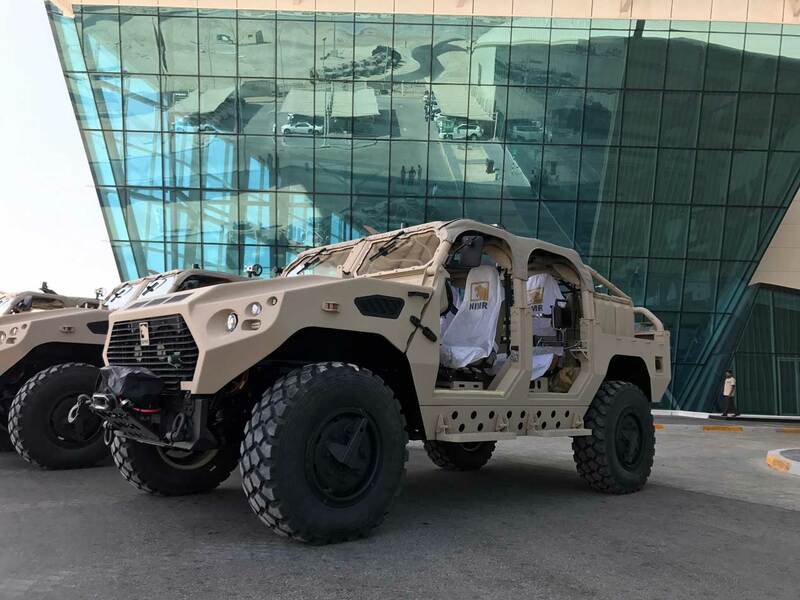 NIMR Automotive, a subsidiary of the UAE’s Emirates Defence Industries Company (EDIC), has announced its first international contract to export its vehicles outside of the Middle East North Africa region through an agreement with the Ministry of Defense and Armed Forces of Turkmenistan. The announcement was made just ahead of the Defense and Security Exhibition 2017 (6–9 November) in Bangkok, Thailand, where NIMR is exhibiting a range of its vehicles,. The agreement with Turkmenistan covers an initial order for NIMR’s Special Forces platform, the AJBAN Long-range Special Operations Vehicles (LRSOV). The number of vehicles to be acquired has not been disclosed. The agreement follows the steady growth of NIMR’s relationship with the Ministry of Defense and Armed Forces of Turkmenistan. Previously, NIMR’s AJBAN 440A vehicles were provided to Turkmenistan through a government-to-government arrangement, and underwent extensive trials before being operationally deployed in a border security role. Receiving high marks for quality, durability and mobility against the rough terrain of Turkmenistan’s border region, the Ministry of Defense advanced its relationship with NIMR to a formal status, requesting an undisclosed number of AJBAN LRSOVs in bespoke configurations. The vehicles are designed for long-range reconnaissance missions, and are helicopter transportable, capable of accessing all terrains and customisable to accommodate a range of specific equipment. NIMR formally delivered the vehicles in October, where they were featured at the Turkmenistan Independence Day Parade, celebrating Turkmenistan's independence from the Soviet Union. Little is known about Turkmenistan’s annual defence expenditure. Between 2003 and 2005, according to the Library of Congress, its defence budget increased from $83 million to $173 million. Given that it was once a part of the Soviet Union, Turkmenistan’s Armed Forces have largely relied upon outmoded Soviet-era equipment. The country continues to maintain ties with Russia. Russian border guards and air defence forces are stationed in Turkmenistan. Given its proximity to Iran and Afghanistan, local wars, border conflicts and military build-ups in adjacent countries are deemed to be the main threats to national security. NIMR also announced at the Defense and Security Exhibition 2017 in Bangkok agreements with top industry partners in Malaysia and Thailand. In Malaysia, NIMR and DefTech, the country’s premier armoured and logistics vehicle producer, have announced plans to deepen their relationship with the aim to finalise a formal Strategic Partnership Agreement in early 2018. 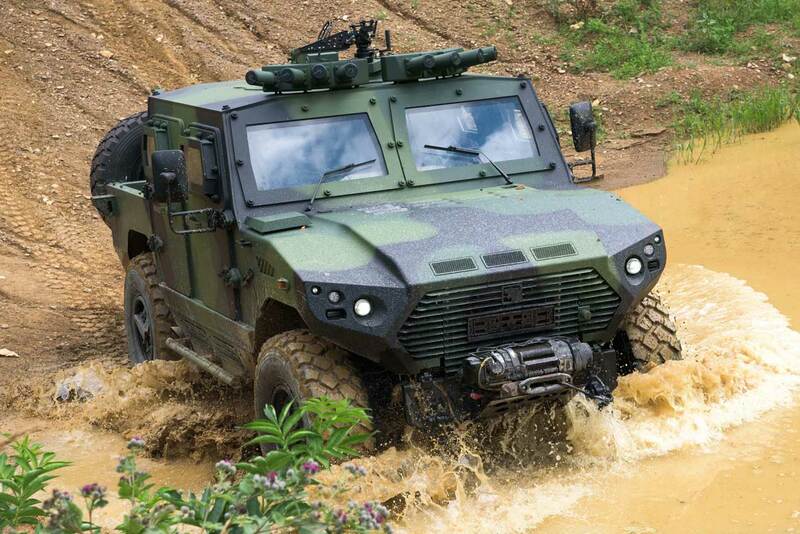 Under the agreement, DefTech will support NIMR through the marketing and sales of the complete range of NIMR vehicles to Malaysia and other territories in Southeast Asia. NIMR has been working closely with Thailand’s FICO Technology and Engineering (FTECH) to explore potential opportunities in the country. Through the partnership, NIMR’s AJBAN 440A and LRSOV are earmarked to undergo trials arranged at Thailand’s Military Transport Training Centre. Both vehicles will be tested and evaluated in the presence of senior officials from the Thai Armed Forces. Both ventures mark an important step in NIMR’s international growth and its desire to expand into Southeast Asia, a key target market for the company. They also build upon NIMR’s strong background in technology transfer programmes, including its joint venture with Algeria (NIMR Algerie). NIMR has expanded its range of vehicles to more than 15 variants in both 4x4 and 6x6 models in order to meet a broad range of user requirements, positioning it for wider growth on the international market.